Happy Telecast Thursday! This week I'm going to show you how to make another quick quilt block, but this one doesn't use the stitch and flip method. I know! Such a departure! Rather than stitching and flipping, we are going to be slicing and inserting this week. This Slice and Insert quilt block has a real improvisational feel to it and since there are no lines to follow when slicing, you are completely free to do your own thing with it. To make this block work, you need to be sure that there is a strong contrast between the background fabric and the two fabric strips. I've chosen a black and white print for the background fabric and two solid colour fabrics (red and blue) for the strips. By choosing the solid colour fabrics, I've created a modern looking block. This is a perfect quilt to use pre-cuts: a layer cake piece for the background and jelly roll strips for the inserted strips. You'll be slicing the background block on a diagonal, but not corner to corner. You'll then add the first fabric strip and I've shown you a handy way to get everything lined up properly that I learned from Jacquie Gering. The technique is easier to understand by watching the video below or on my YouTube channel to see how this block comes together. This Slice and Insert block is a good way to use up excess fabric strips, perhaps those left over from binding pieces. This will be the last Quick Quilt Block in the series - for now. You can find all of the other Quick Quilt Blocks in the playlist on my YouTube channel. What has been your favourite Quick Quilt Block in this series? Do you have other blocks that you consider quick to make? Let me know in the Comments below. P.S. I'd love to have you join me and hundreds of other quilters in the private Chatterbox Quilts' Facebook group. 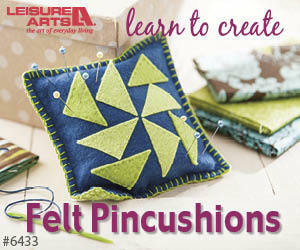 Learn and share with other quilters in this encouraging group.